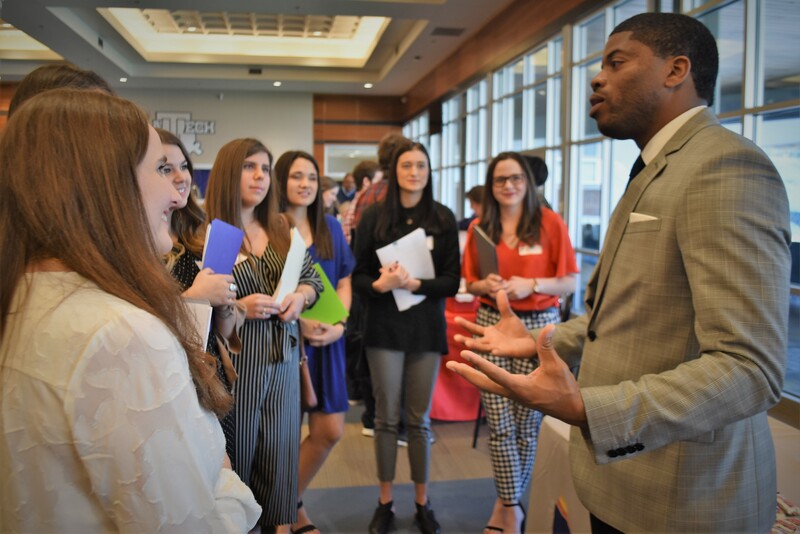 Louisiana Tech’s undergraduate programs in the Department of Curriculum, Instruction, and Leadership (CIL) have been recognized widely for their innovative and collaborative approach to helping train the next generation of teachers and school leaders. The program’s approach to elementary literacy training has been recognized as one of the most innovative in the country by TPI-US. The earliest years in a child’s life are some of the most crucial for their development. As a teacher in grades K-3, you will contribute greatly to the development and education of young children who will grow into the future teachers, doctors, scientists, and leaders of our nation and world. 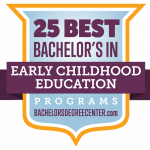 Consisting of a rigorous, 126 credit-hour curriculum, the Early Childhood Education degree at Louisiana Tech, will prepare you for the challenges of teaching young children in grades K-3. As a career, Early Childhood Education is projected by the Bureau of Labor Statistics to grow at or above the national average. The B.S. in Early Childhood Education is a 126 credit-hour degree that includes 39 hours of general education coursework, 33 hours in early childhood teaching, 15 hours in knowledge of the learner and learning environment, 15 hours in methodology and teaching, and 24 hours of additional coursework. As an elementary teacher, you can contribute greatly to the development and education of young children who will grow into the future teachers, doctors, scientists, and leaders of our nation and world. Consisting of a rigorous, 126 credit-hour curriculum, the Elementary Education degree at Louisiana Tech, will prepare you for the challenges of teaching young children of all ages in elementary school. As a career, Elementary Education is projected by the Bureau of Labor Statistics to grow at the national average. The B.S. in Elementary Education is a 126 credit-hour degree that includes 54 hours of general education coursework, 21 hours in primary content area instruction, 15 hours in knowledge of the learner and learning environment, 15 hours in methodology and teaching, and 21 hours of “flexible hours” coursework intended to be taken when your scheduling allows. Do you like animals and the idea of passing along a love of learning to future generations? If so, Agriculture Education may be for you. Consisting of a 120 credit-hour curriculum, the Secondary Education in Agriculture degree at Louisiana Tech will provide you with a strong background in the fundamentals of agricultural science as well as in teaching. The B.S. in Secondary Education, Agriculture is a 120 credit-hour degree that includes 32 hours of general education coursework, 29 hours in primary content area instruction, 15 hours in knowledge of the learner and learning environment, 18 hours in methodology and teaching, and an additional 26 hours of related coursework. Do you have a passion for language and the written word? Do you love reading, and love sharing that love with others? If so, English education may be for you. Consisting of a 120 credit-hour curriculum, the Secondary Education in English degree at Louisiana Tech will provide you with a strong background in English and the language arts, as well as in teaching. The B.S. in Secondary Education, English is a 120 credit-hour degree that includes 30 hours of general education coursework, 33 hours in primary content area instruction, 15 hours in knowledge of the learner and learning environment, 18 hours in methodology and teaching, and an additional 24 hours of related coursework. UTeachTech pairs the University’s esteemed engineering and science programs with its outstanding teaching preparation programs, resulting in a single, interdisciplinary degree program that provides you with the knowledge needed to work in industry and the skill set to lead in the classroom. As a graduate of UTeachTech, you will have more career options. The choice is yours, and choice is empowering. Do you love history, and want to share it with future generations? If so, social studies education may be for you. Consisting of a 120 credit-hour curriculum, the Secondary Education in Social Studies degree at Louisiana Tech will provide you with a strong background in the fundamentals of social studies, history, and in teaching. The B.S. in Secondary Education, Social Studies is a 126 credit-hour degree that includes 30 hours of general education coursework, 42 hours in primary content area instruction, 15 hours in knowledge of the learner and learning environment, 18 hours in methodology and teaching, and an additional 21 hours of related coursework.